I had picked up a cauliflower because it was on sale, without knowing what I was going to do with it. Then when it was time to cook I wanted to try something new, and as ravioli is one of my specialties I decided to make ravioli stuffed with cauliflower. I got the inspiration for the other ingredients from this Sicilian recipe that I recently tried. I braised the cauliflower to enhance its flavor, and roasted part of the cauliflower for some crunch. The result was spectacular, especially considering it featured cauliflower as the main ingredient and how bland cauliflower often is. These ravioli had great depth of flavor with a great balance between the different flavors and a very recognizable cauliflower flavor. The crunch of the roasted cauliflower worked out just as planned. This was outstanding, especially for a vegetarian dish, and I will definitely serve this to dinner guests soon. Heat 2 Tbsp of the olive oil in a frying pan. 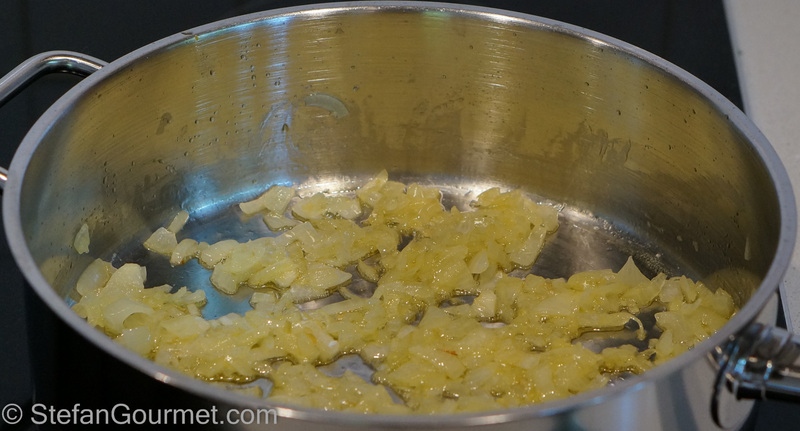 Add the onion and cook over medium-low heat until soft and fragrant, about 10 minutes. 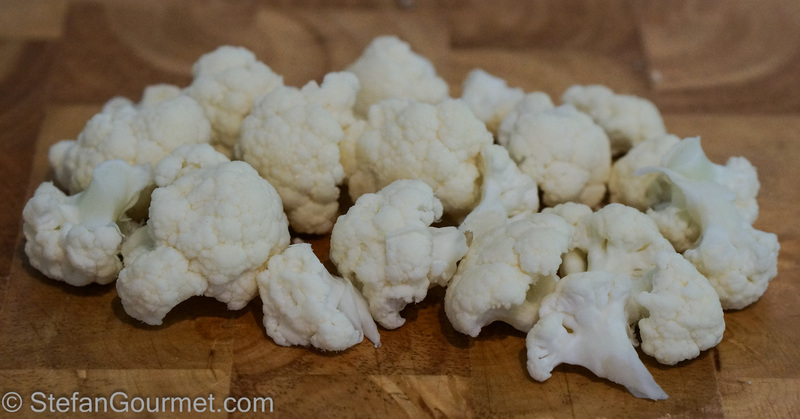 Meanwhile, clean the cauliflower and keep about 100 grams (3.5 oz) of small cauliflower florets separate. 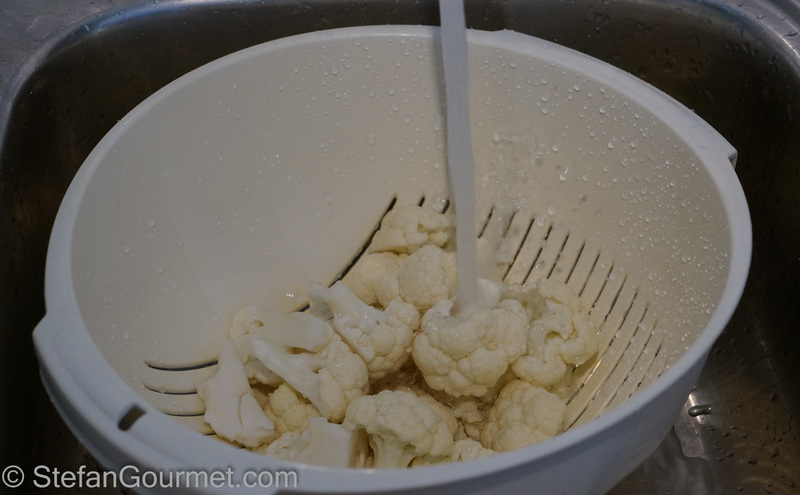 Wash the remaining cauliflower under cold running water. 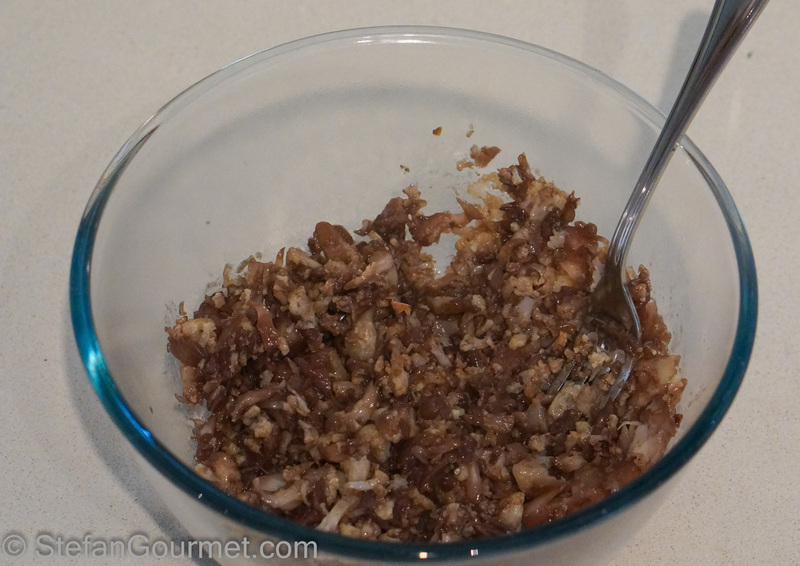 Add the anchovies to the onions and stir for a minute. Stir and bring to a boil. Season with salt and freshly ground pepper. 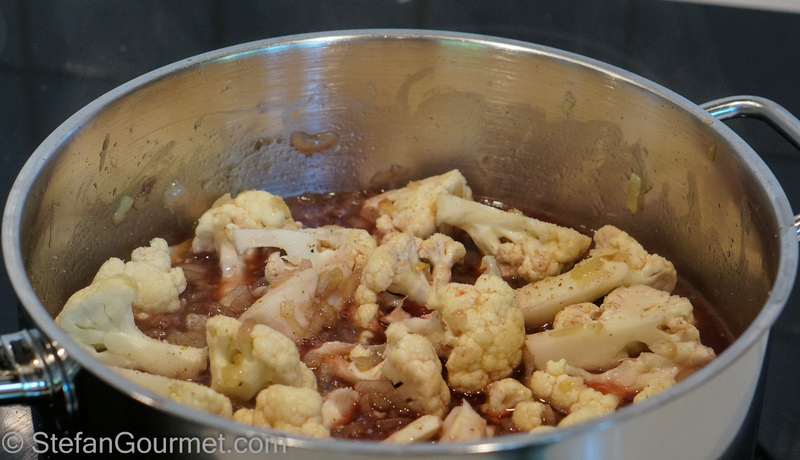 Cover and cook over low heat, stirring now and then, until the cauliflower is soft enough to mash it with a fork. This takes about 1 hour. You may need to add a bit of water (or more red wine) if it becomes too dry. The cauliflower will start to fall apart. Transfer the cooked cauliflower to a bowl and mash it with a fork. 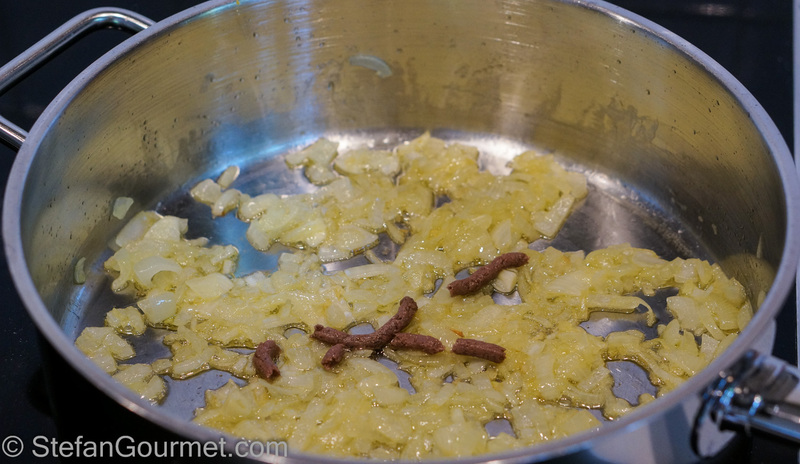 Add 40 grams (4 Tbsp) of the cheese and the remaining 2 Tbsp of olive oil, and incorporate with the fork. Taste and adjust the seasoning with salt and freshly ground pepper. As usual with ravioli, over-season the stuffing just ever so slightly. 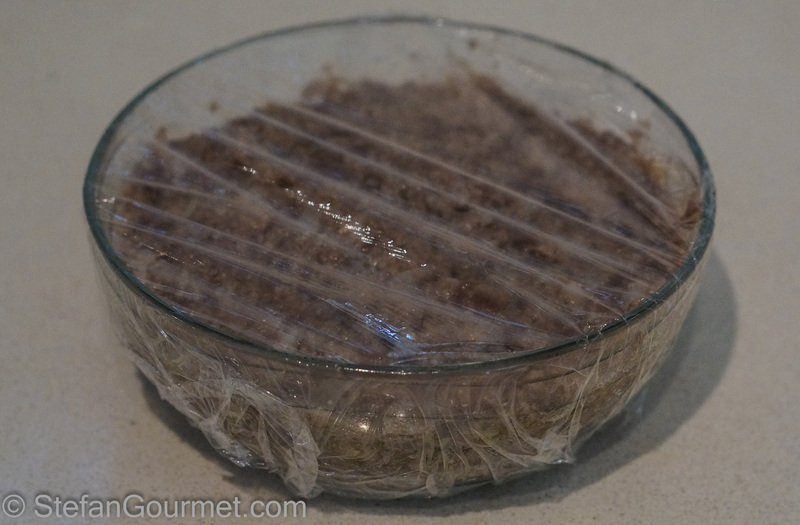 Cover the cauliflower mixture with plastic wrap and refrigerate to allow it to firm up a bit. Meanwhile, make fresh pasta dough from the flour and eggs, wrap it in foil and allow it to rest for half an hour in the refrigerator. 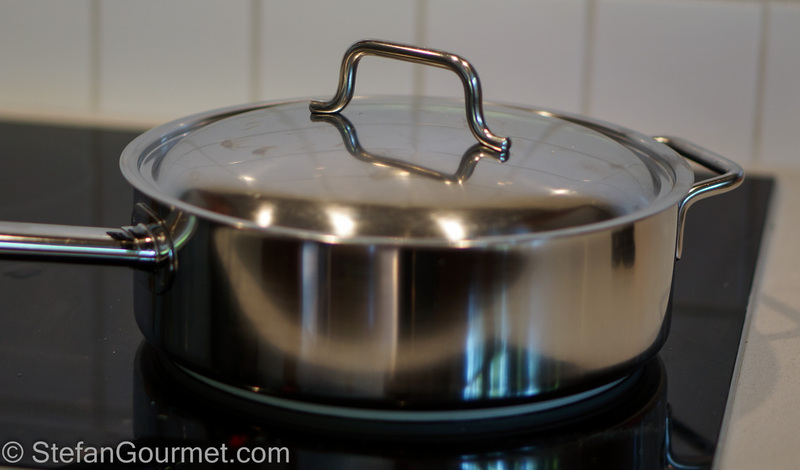 Preheat the oven to 200ºC/400ºF. 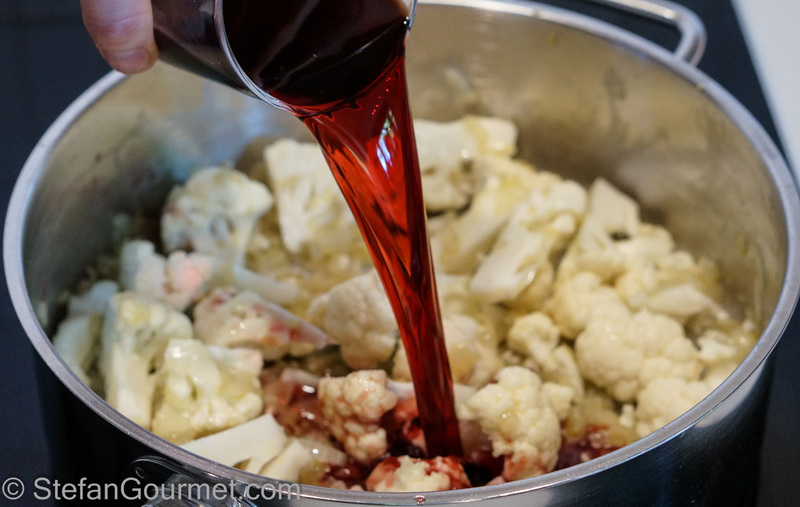 Toss the reserved cauliflower with olive oil so it is completely coated. 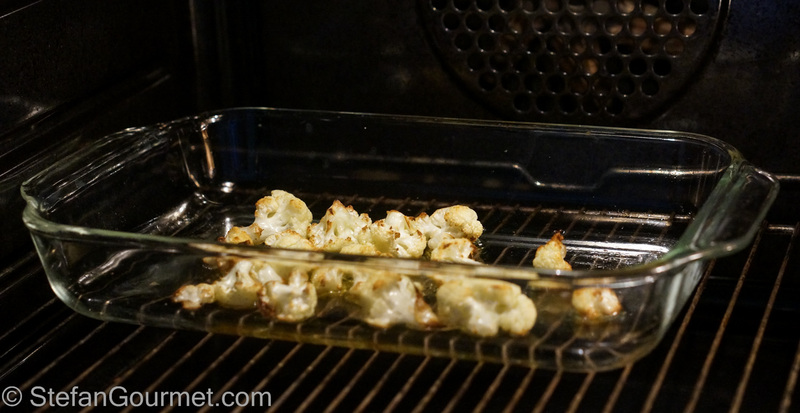 Roast the cauliflower until it is brown and crispy, 30-45 minutes. 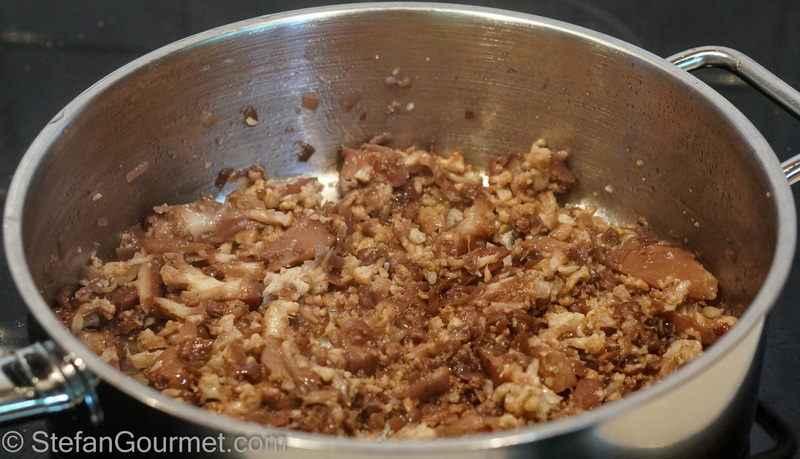 Roast the slivered almonds along with the cauliflower until golden, 5-10 minutes. 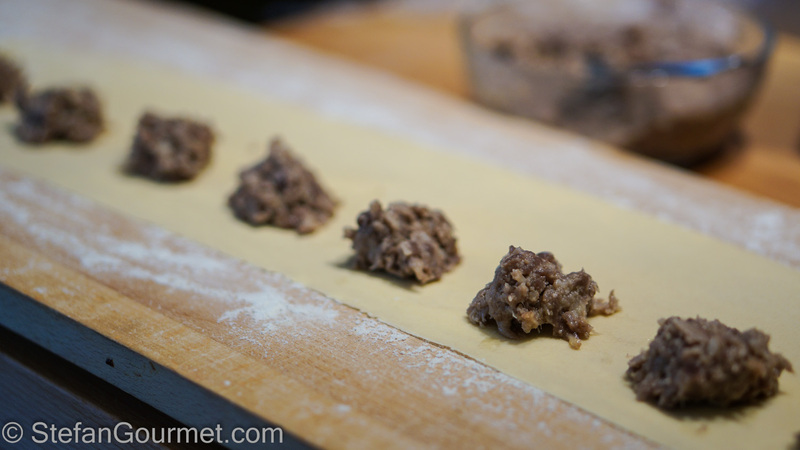 Roll out the pasta dough as thinly as possible and make ravioli with the stuffing according to my instructions. Cook the ravioli for a couple of minutes in boiling salted water. Once cooked, transfer the ravioli to warm plates with a slotted spoon. Garnish with the roasted cauliflower, the toasted slivered almonds, the parsley, the olives, and the remaining cheese. You may wish to add a bit of very good extra virgin olive oil. Serve at once. This is very nice with many Italian reds. We enjoyed it with a Chianti Classico. The wine should not be too fruity or too oakey. 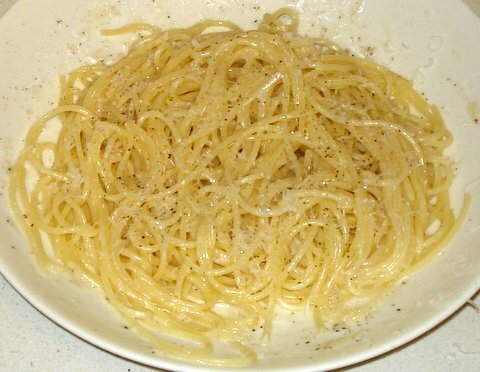 Another humble pasta dish from Lazio but oh so delicious: Spaghetti Cacio e Pepe. It is amazing how spaghetti with just pepper, cheese (and the magic ingredient: the pasta cooking water) can be! Thanks for visiting and taking the time to comment! Wonderful dish. 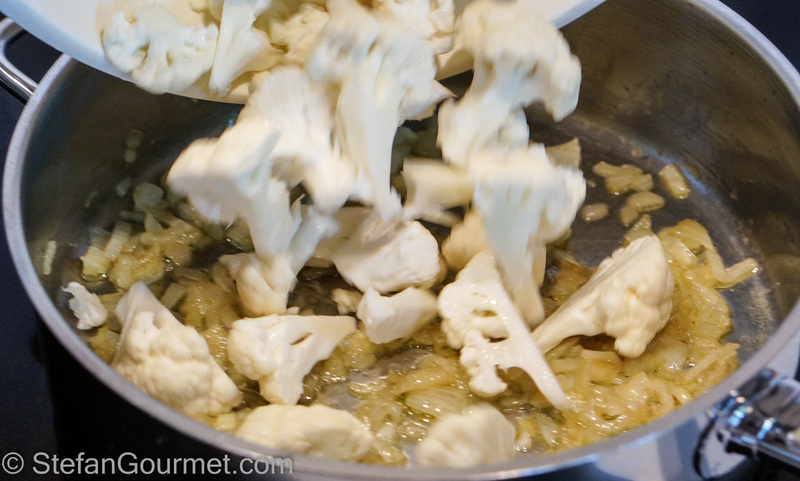 I make a similar Sicilian ‘Affogato’ cauliflower. I think it’s a rather underrated vegetable but so tasty and versatile. Welcome! Thanks for visiting, following, and taking the time to comment. 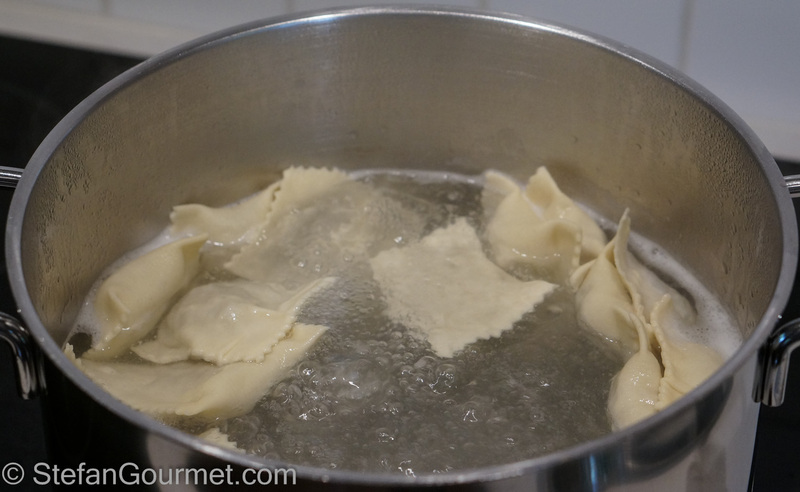 Ravioli freeze quite well in general — freeze them apart on a tray and bag them when they are frozen so they don’t clump together; and then cook them directly from frozen. They will need some additional minutes. However, I personally prefer to make a SMALL batch of ravioli rather than a large batch as the amount of work is mostly in folding the individual pillows and so 4 servings takes double the time of 2 servings. 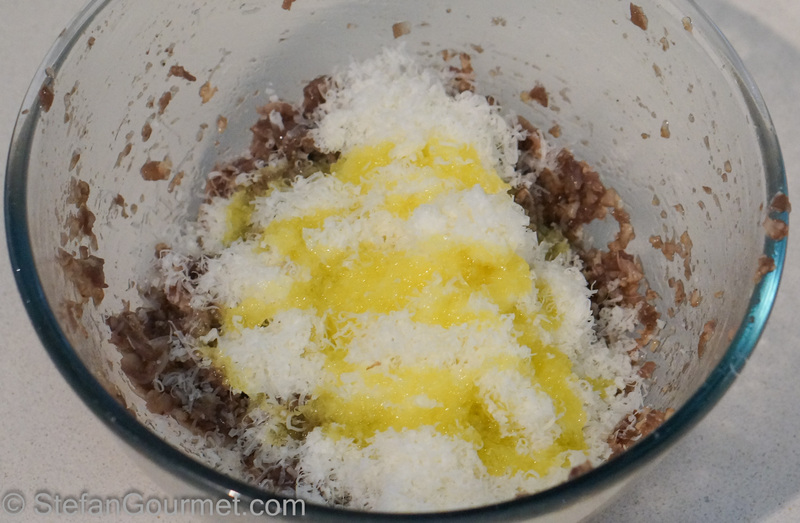 For your first attempt at ravioli you could try with an easier stuffing — for instance simply ricotta mixed with grated cheese of your choice. Then if it goes wrong at least it was not as much work. Do you have experience making fresh pasta? If not, I’d suggest starting with tagliatelle first to get some practice rolling it out. I haven’t made ravioli before and I’m planning on trying it soon. This recipe looks and sounds fantastic. Thanks, Lindy. Good luck and let me know how they turn out! What a beautiful way to cook and eat cauliflower! Looks lovely. One of your favourites, I know. Never tried ravioli stuffed with cauliflower, looks awesome! Very creative, Stefan. When I first saw the title I wondered how you bring out some flavor in the cauliflower, especially in a ravioli. I also loved the use of the braised cauliflower with the roasted cauliflower and almonds to add contrasting flavor and texture. It looks wonderful and is on the must try list. Nice job.